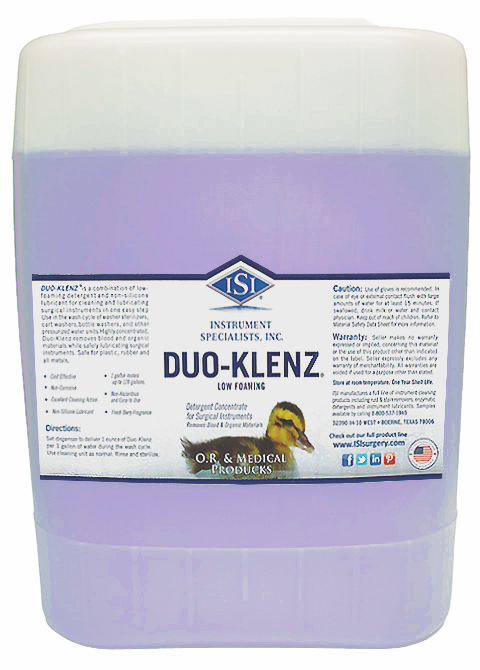 Duo-Klenz combines the cleaning power of detergent with a non-silicone lubricant. Highly concentrated, low-foaming Duo-Klenz removes blood and organic materials while safely lubricating surgical instruments -- all in one easy step! Duo-Klenz is formulated for use in the wash cycle of washer sterilizers, cart washers, bottle washers, and other pressurized water units.